Start Date : 1 October 2018. End Date : Until 30 September 2019. Round Duration : 1 Months. 1. Sign up on our site or Log in to your Personal Area. 2. Open a real Micro or Pro account and register your account for the contest. 3. 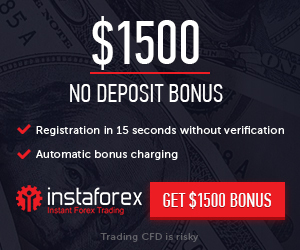 Make a deposit of at least $50 or its equivalent in EUR into your contest account. 4. Download a trading platform and start trading. 5. Become the best in the most categories during one month and over the whole year, and win prizes! -Final contest prizes; we present them to the contestants who were the best according to our summarised yearly stats. intermediate prizes for the first places in each category at the end of the month. Win : The participants win if they take first place at the end of a round in at least one of three categories: Gain, Profit Factor, or Traded Volume. The participants who performed best across all three categories throughout the year win the main prizes. You`ve got a chance to win, whenever you start trading in the contest!